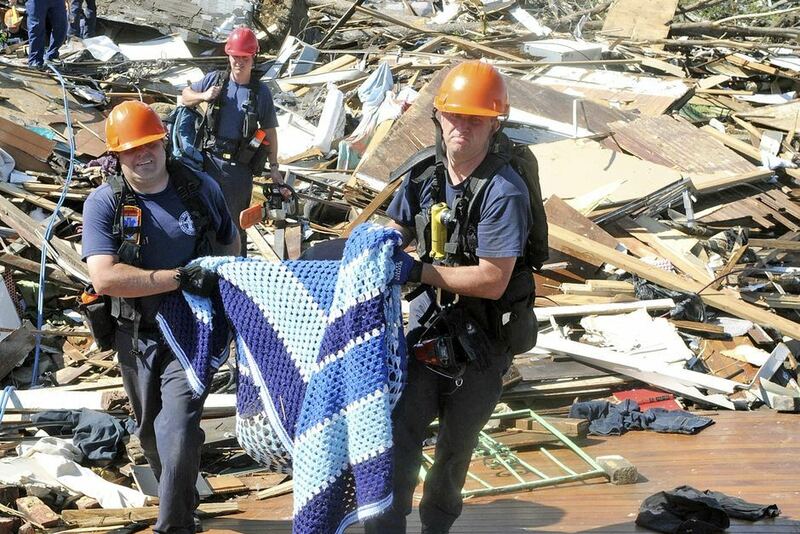 <<Firefighters dedicate their lives to the protection of life and property. Sometimes that dedication is in the form of countless hours volunteered over many years, in others it is many selfless years working in the industry. In all cases it risks the ultimate sacrifice of a firefighter’s life. 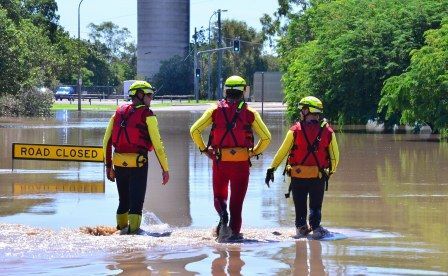 Across Australia, the vital life-saving job of Civil Emergency Services (an umbrella term) extends beyond the professionally paid urban fire brigades. 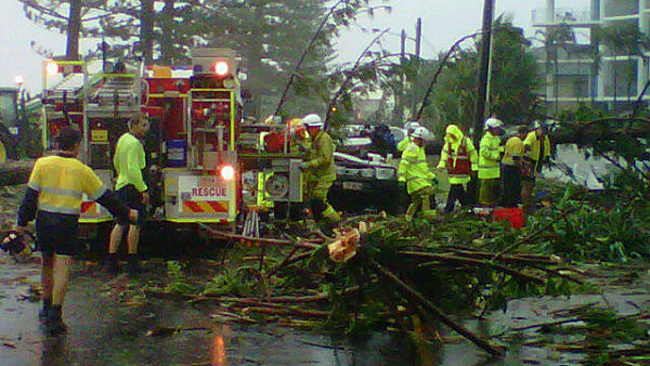 Over decades, the task of emergency service has evolved on a state basis to include multiple independent agencies including the various rural firefighting services, ambulance services, State Emergency Services, emergency rescue services, police and their associated rescue services, helicopter rescue services such as Careflight, St John Ambulance Service and the Australian Volunteer Coast Guard, Surf Life Saving, amongst others. Most of these agencies rely in the most part upon volunteers from the community prepared to sacrifice their time and lives for their country to help and save others in distress. <<While Australia is one of the most bush-fire prone countries in the world, its fire-fighting services are organised on a state-by-state basis and rely heavily on thousands of unpaid volunteers. Over the past year, the seriously under-funded and under-equipped services, both professional and voluntary, have been subjected to systematic cutbacks. The cuts, which have eroded fire and emergency services capacities, are part of ongoing reductions to vital social services—health, education and welfare—by federal Labor government and state Liberal governments. 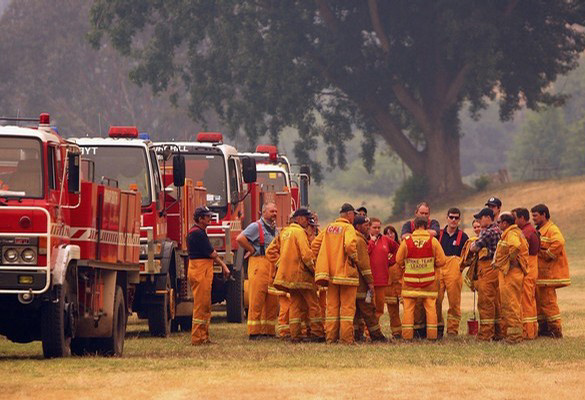 Currently there are just over 13,000 full-time fire fighters in Australia, with more than 219,000 unpaid volunteers, drawn from local communities. 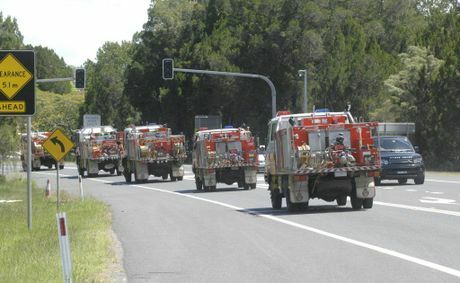 The NSW Rural Fire Service (RFS), the largest agency, has a volunteer base of over 70,000 and operates more than 7,000 vehicles. NSW Emergency Services Minister Michael Gallagher acknowledged last year that the current summer bushfire season had “the potential to be one of the worst in years.” Yet, the state Liberal government, following on from the previous Labor government reductions, announced in last year’s budget that it was slashing staff funding to the RFS by $11.7 million over four years. The move is expected to axe at least 120 jobs, or 1 in 8 full-time positions. The state government also wound back the Rural Fire Fighting Fund, which helps pay for a range of RFS operations, by $8 million—from $271 million to $263 million for 2012-2013. In addition, it is cutting NSW Fire and Emergency, which employs most of the state’s full-time fire-fighters, by $70 million over the next four years. According to a recent review by the NSW auditor-general, total funding for the RFS has been reduced by almost 7% and the number of fire-fighting tankers supplied or refurbished has decreased from 216 to 177 during the past two years. 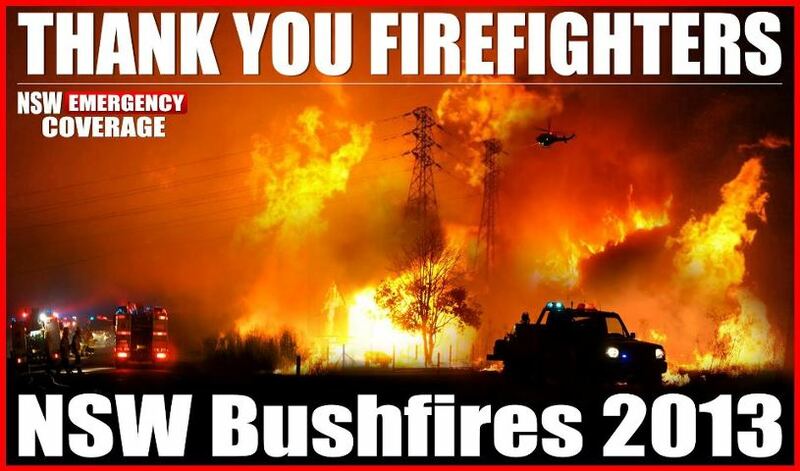 Similar cuts have been imposed by the Victorian state government on the Country Fire Authority (CFA). The CFA currently has a 44,000-strong volunteer base, down from 83,000 in 1998. Last year, the Victorian Liberal government announced it would axe $66 million from its fire services budget—$41 million from the CFA and $25 million from the Metropolitan Fire Brigade. Fifty paid CFA positions were also eliminated during the year, as a result of earlier budget decisions. These cutbacks have been imposed despite Victoria’s catastrophic 2009 Black Saturday bushfires, which killed 173 people, including 23 children, and incinerated 450,000 hectares and 2,100 homes. Political responsibility for this heavy loss of life lies with the previous state Labor government of Premier John Brumby. Its so-called “stay or go” policy and other cost-cutting measures encouraged individuals to devise their own fire response plans and attempt to defend their homes when faced with approaching infernos. A royal commission made limited criticisms and issued 67 recommendations to improve fire safety. More than two years after it handed down its final report, only 35 of the recommendations have been implemented. Less than 360 out of 850 fire trucks have received recommended fire safety upgrades and only one fire refuge is operational. The Victorian government’s claims to have improved emergency communications were exposed on the first day of this month’s heatwave when the emergency web site crashed. 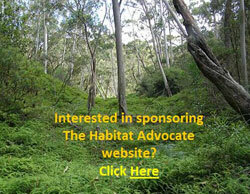 The web site received 700 hits a second, double the level planned for by the CFA and state government. Similar cuts are being imposed in other states. Up to 20 administrative positions are being slashed from the Queensland Rural Fire Service, and 18 full-time jobs from the Tasmanian Fire Services. 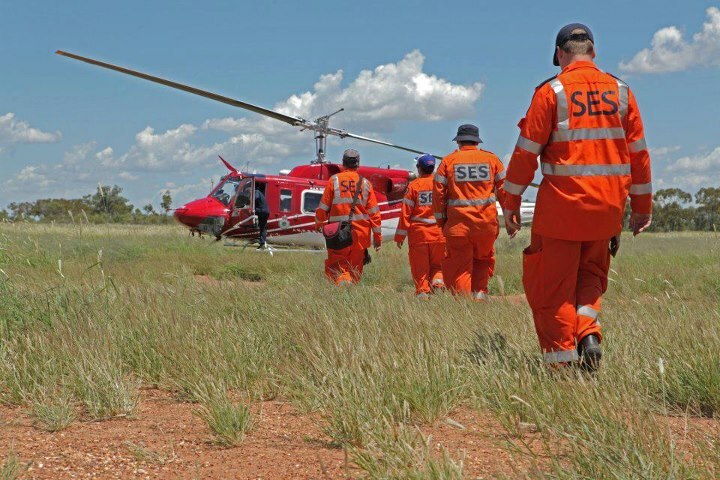 In Western Australia, the Fire and Emergency Service Authority is not filling vacant positions and has been directed by the state government to reduce operating costs by almost $400,000 during the current financial year. None of these measures, or the previous years of gross under-funding by Liberal and Labor state governments alike, would have been possible without the political assistance provided by the two principal unions—the United Firefighters Union and the Fire Brigade Employees Union—that cover most professional fire-fighters. While governments always manage to find millions and billions for “other priorities”, our Emergency Services are forced to rely on the goodwill and charity of local communities to maintain basic operational expenses. That the men and women who volunteer their time and put their lives on the line to respond when disaster strikes, also have to fundraise their service is a damning indictment of our governments’ abrogated duty of care to protect life and property. 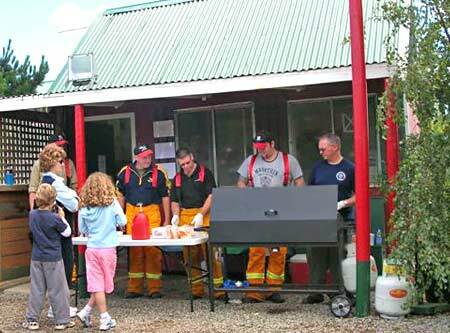 Annual doorknock appeals and sausage sizzles are not the way to fund Emergency Services. What are our taxes paid for? 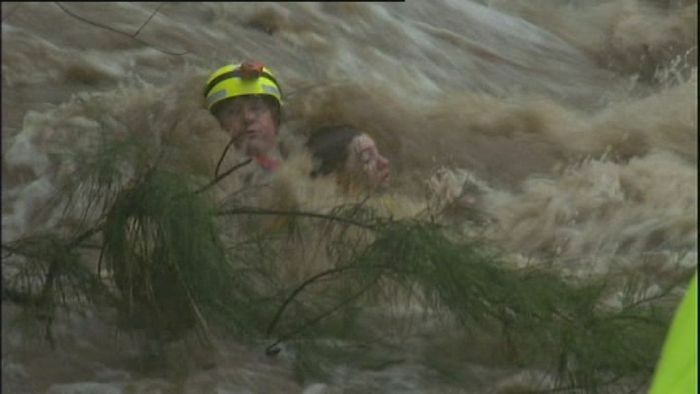 <<A hidden toll of psychological trauma among Victorian firefighters may be leading to suicide, alcohol abuse and depression. A report by the University of Newcastle’s Centre of Full Employment and Equity also reveals firefighters’ biggest stress is their role as a first responder to medical emergencies and that some believe they are not getting adequate support. The report, written by research professor William Mitchell and research fellow Beth Cook and commissioned by the firefighters’ union, was released to the public on Monday 18th February 2013. It comes days before the Auditor-General releases a report expected to show high rates of unplanned leave by professional firefighters (see below). ”given the psychological impact of firefighting – higher prevalence of PTSD [post-traumatic stress disorder], depression, anxiety and alcohol or drug use – there is a probability that firefighters may be more likely to commit suicide”. Firefighters union secretary Peter Marshall said the report – including figures from one study showing 68% of firefighters recorded moderate symptoms of PTSD – revealed firefighters were sitting on a ”ticking psychological time bomb”. He said existing support programs, which include a peer-to-peer service, were inadequate and budget cuts to the metropolitan and country fires services had exacerbated the problem. 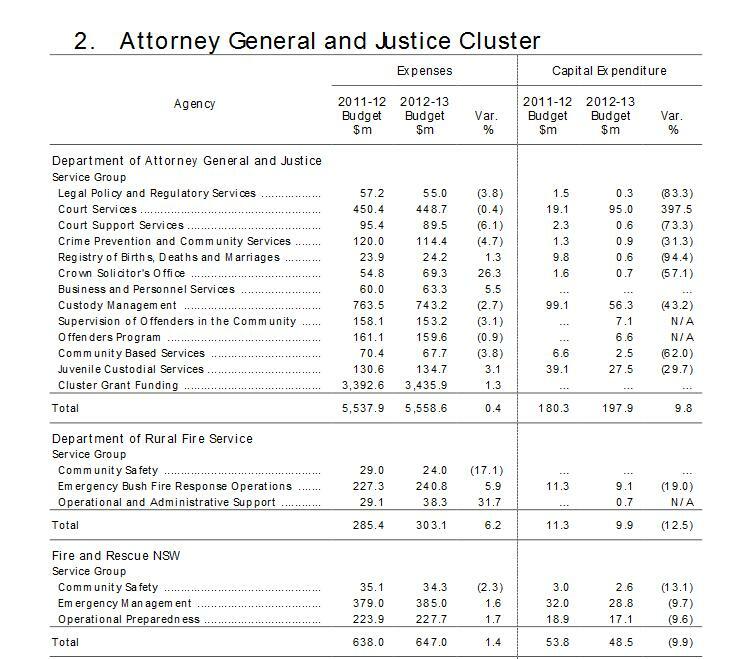 But a spokesman for Deputy Premier and Emergency Services Minister Peter Ryan said ”this year’s fire services budget was the second-biggest on record, surpassed only by last year’s budget”, which paid for many of the bushfire royal commission recommendations. The spokesman said the government would wait to read the union-commissioned study before it responded. The Metropolitan Fire Brigade’s chief officer, Shane Wright, stressed that existing support programs were comprehensive and effective. Mr Wright also said that, compared with other emergency services, firefighters had smaller incidences of stress-related WorkCover leave. Metropolitan firefighters interviewed for the report singled out stress factors including ”the introduction [in 2000] of Emergency Medical Response [in which firefighters are first respondents to medical emergencies] and the ageing of the workforce in the MFB”, while professional CFA firefighters ”singled out the deterioration in the numbers and reliability of volunteers as the single most notable change for the organisation”. Asked to rank their most stressful incidents, metropolitan firefighters listed fire fatalities and dealing with seriously injured children or the sudden death of an infant. The focus groups also reported perceived insufficient support from management to deal with stress. However, the study also noted firefighters were often reluctant to seek help, sometimes preferring to self-medicate with alcohol, and that the existing data around stress levels was incomplete. 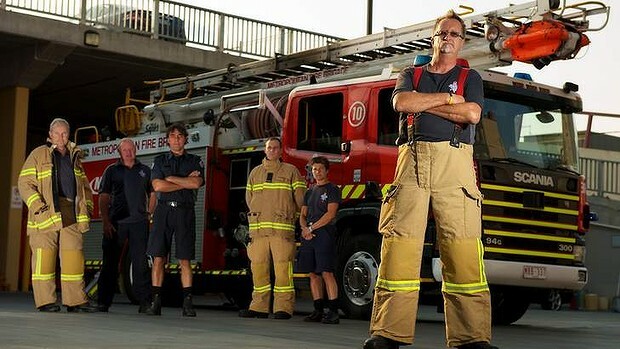 A 30-year firefighting veteran, Danny Ward, told Fairfax Media that while he and his colleagues were well trained to deal with fires, they are not sufficiently supported to deal with the mental impact of attending car accidents, cot deaths, heart attacks and drug overdoses. <<Firefighters have one of the most dangerous jobs in the world and suffer high levels of physical and psychological injury, according to a study by a research unit of the University of Newcastle. Researchers examined international and Australian health studies and interviewed local firefighters. They found that the changing role of firefighting is having a big impact on the health of career firefighters and volunteers. Fires are not the only issue. Firefighters are also concerned at the stress of dealing with emergency medical response (EMR), suicides, drug incidents, traumatic events involving children such as SIDS, increased violence, and the threat of terrorism. 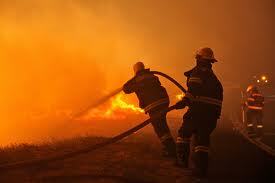 Firefighters are found to have increased levels of Post Traumatic Stress Disorder (PTSD) and other illnesses. Firefighting differs from other emergency services they get the heavy jobs, the ‘dirty’ and dangerous jobs, and are often first on scene. These risks cannot be mitigated. It is the nature of the job. Firefighters go into danger, as others flee. The pressure of budget cuts to fire service s is also impacting on the stress levels of firefighters. Organisational stressors include inadequate staff, and a lack of communication and consultation. Firefighters one of the fittest sectors of the workforce when they begin their career suffer above average rates of cancers, heart attacks, chemical and asbestos exposure, PTSD, and other risks. They often keep their concerns to themselves, and some take to self medication through alcohol and other drugs. The increased fitness of the workforce when they begin their firefighting career also helps mask health issues (the healthy worker effect). Support services have not kept pace with the changing role of firefighters. Management may view its support programs as successful, but often the reality is otherwise. Management is disconnected from the workers on the fire ground. In the CFA, peer support personnel are predominantly volunteers with less incident experience than fulltime firefighters. 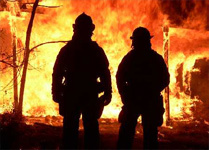 The hidden cost of these physical and psychological injuries falls on the firefighters, family, fire services and communities, as firefighters are self medicating, taking unplanned time off to recover and going untreated as they do not have access to adequate support to address the root causes. An ex-Vietnam vet and currently a politician in New South Wales, Charlie Lynn, has broken ranks to urge his ‘‘mates’’ in the leadership of the Returned and Services League (RSL) to recognise the dedicated, courageous and honourable service of emergency services personnel by welcoming them to march on Anzac Day. 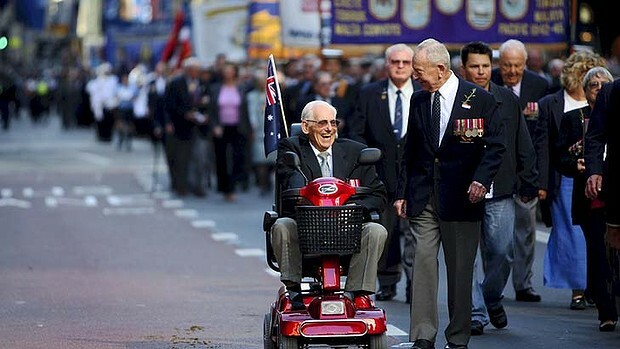 Now a member of the state government and a war veteran, Charlie Lynn, says Rural Fire Service (RFS) and State Emergency Service (SES) volunteers should be given the honour of marching on Anzac Day. Mr Lynn, a Liberal Party MP who served in Vietnam, has broken ranks to urge his ”mates” in the leadership of the RSL to consider broadening the scope of Australia’s sacred military day. ”I’ve been thinking about what Anzac represents, and to me it’s about selfless service to the nation and sacrifice,” Mr Lynne said. People in the ANZAC Day march as it marches down George St, Sydney. Mr Lynn said the inclusion of volunteers from outside military ranks would breathe new life into Anzac Day marches in country towns where numbers of war veterans have waned. But Mr Lynn, who has guided more than 60 groups along the Kokoda Track, knows he has a fight on his hands to convince Don Rowe, the NSW president of the RSL. Mr Rowe said he would have a ”big problem” with allowing non-services personnel and their descendants into the main Sydney march but would consider greater involvement of volunteers in rural areas. Mr Rowe said 20,000 people marched and the number was rising due to more descendants marching. The nation’s most famous RFS volunteer, Tony Abbott, declined to comment on the idea as he began his family holiday on Saturday. The Premier, Barry O’Farrell, said he was cool on the idea but flagged a separate ceremony to honour the fire volunteers who have been battling bushfires across the state over the past week. That they do not pick up a rifle makes them no less honourable for recognition for their dedicated service to Australians and to our country. Our taxes should also be paying these dedicated selfless souls and paying full premiums for all their personal insurances so that should tragedy occur in the line of duty, dependents will be properly cared for and shall never want for the basics of life. It is a disgrace that governments go into hiding to avoid financial responsibilities of those who have served our country who putting themselves in harms way. Why should the public have to double dip and charities have to do the financial job of government in the financial aftermath of national emergencies? Same same in 2009 Black Saturday, Cyclone Yasi, Brisbane Floods, Canberra Firestorm, Ash Wednesday, etc, etc, etc. <<Operational staff at Ambulance Victoria (AV), the Metropolitan Fire and Emergency Services Board (MFESB) and Victoria Police (VicPol) are more likely to suffer injuries and emotional stress, and have higher rates of unplanned leave, than other public sector staff. AV, MFESB and VicPol have each recognised the importance of managing unplanned leave. However, there are significant differences in how effectively and efficiently they are each managing the issues. Both AV and VicPol have been generally effective and efficient in managing unplanned leave, although AV recognises the need to reduce the personal unplanned leave levels of paramedics and other operational staff. AV and VicPol have effective management oversight, supported by sound and practical data that enables their frontline managers to manage and support staff. They are aware of the causes of unplanned leave and have either implemented, or are developing actions to address these. Victoria’s public sector provides its staff with a range of leave benefits. These benefits include annual leave, parental leave and study leave, which are typically planned in advance with the employer. Public sector staff are also provided with personal leave benefits to manage incidents such as illness, or the need to care for an ill family member. Additionally, staff injured at work have access to worker’s compensation leave. These types of leave are typically unplanned and occur unexpectedly. Excessive unplanned leave can be a symptom of larger problems within an organisation, including poor occupational health and safety management, an unfavourable organisational culture, or insufficient controls over access to entitlements such as sick and carer’s leave. Operational staff in emergency services agencies, such as Ambulance Victoria (AV), the Metropolitan Fire and Emergency Services Board (MFESB) and Victoria Police (VicPol) are more likely to suffer injuries and emotional stress compared to their non-operational counterparts due to their high-risk work environment. Victoria’s emergency service agencies—AV, MFESB and VicPol—have each recognised the importance of managing unplanned leave. However, there are significant differences in how effectively and efficiently they are each managing the issues. Both AV and VicPol have been generally effective and efficient in managing unplanned leave, although AV recognises the need to reduce the personal unplanned leave levels of paramedics and other operational staff. AV and VicPol have effective management oversight, supported by sound and practical data that enables their frontline managers to manage and support staff. They are aware of the causes of unplanned leave and have either implemented, or are developing actions to address these. However, MFESB needs to improve considerably. Compared to its peer agencies it has the poorest unplanned leave performance, which has been caused by ineffective management over the past decade. MFESB’s management has been aware of the causes of personal unplanned leave since 2000 but it has not adequately addressed them. There is a lack of frontline management accountability for unplanned leave, and a lack of regular data on firefighters’ unplanned leave for managers at the station level. This needs to be addressed as a matter of priority. In 2011–12, the number of shifts lost due to unplanned leave for operational staff at AV, MFESB and VicPol was 10.6, 11.6 and 9.6 per full-time equivalent (FTE) respectively. Long average shift durations at AV and MFESB—11.77 hours and 12 hours—result in average time lost to unplanned leave of 124.6 hours and 139.5 hours per FTE respectively. VicPol’s shorter average shift length of 7.6 hours results in time lost to unplanned leave of 72.9 hours per FTE. The level of unplanned leave at AV reflects a slight decline compared to 2010–11. While MFESB achieved a slight reduction in 2011–12, its unplanned leave has increased steadily since 2000. Unplanned leave for VicPol has remained constant and substantially below AV and MFESB. Effective management of unplanned leave relies on the commitment and oversight of senior management. Senior managers set expectations by establishing policies, practices and the responsibilities of staff and managers. Sustained management attention is required to effectively identify and address the underlying causes of unplanned leave. Each agency’s senior management is briefed on the types and levels of unplanned leave and the contributing factors, however the nature and extent of oversight and effective action varies. Both AV’s and MFESB’s senior management regularly consider unplanned leave. AV’s senior management receives regular information on unplanned leave and enforces responsibilities at all levels of operational management. However, MFESB’s senior management has only strengthened its oversight of unplanned leave since 2010, and this has delayed its response to the issues it faces. VicPol conducts reviews of operational groups every six months. These reviews provide senior executives with the opportunity to examine police managers’ operational performance and request specific action, including managing unplanned leave. However, the frequency of these reviews may limit VicPol’s ability to respond to systemic unplanned leave issues in a timely way. MFESB and the United Firefighters’ Union (UFU) entered into an enterprise agreement for firefighters in 2010. The agreement is legally binding on MFESB and UFU. It contains provisions that constrain MFESB’s ability to effectively and efficiently implement initiatives to manage unplanned leave. The provisions in the enterprise agreement effectively require that any change affecting MFESB’s relationship with its staff be agreed upon with UFU. This has the potential to contribute to difficulty and delay in introducing reasonable mechanisms to hold firefighters, and their managers, accountable for personal unplanned leave that is not justified by illness or injury. Identifying the causes of unplanned leave provides agency management with the information it needs to develop appropriate responses. All agencies have undertaken work to identify the causes and impacts of unplanned leave, although the extent to which this has informed management actions varies. AV, MFESB and VicPol all regularly monitor service levels, overtime costs and unplanned leave to identify trends and patterns that may point to local causes of unplanned leave. In addition, MFESB has commissioned two reviews to gain a greater insight into the causes of personal unplanned leave. However, only AV and VicPol have taken effective action to address the underlying causes of unplanned leave. While MFESB has had the necessary information over the past decade, it has not taken appropriate action until recently. Effective frontline management is a key part of unplanned leave management. Frontline managers are in a position to positively influence motivation, reinforce staff understanding of their responsibilities, and deal directly with staff taking high levels of personal unplanned leave. Frontline management of unplanned leave is sound at both AV and VicPol, with clear responsibilities for managing personal unplanned leave, and generally consistent follow-up with staff after periods of unplanned leave. AV faces challenges embedding good practices in rural branches where team managers are primarily allocated to paramedic duties but also have a significant number of staff to manage. The importance of enabling these managers to better manage their staff is highlighted by the rate of personal unplanned leave in AV’s rural areas, which exceeded that in metropolitan areas by 2.6 shifts per full-time operational staff member in 2011–12. In contrast, MFESB’s commanders have primary responsibility for managing unplanned leave but do not have direct relationships with their firefighters. This limits their capacity to effectively work with firefighters to address personal unplanned leave issues. While senior station officers and station officers are in the best position to manage unplanned leave, they do not play an active role in doing so. To effectively perform the role of a frontline manager, accountability for managing unplanned leave should be clear and managers should have access to support, advice and appropriate professional development. Accountability was strongest at both AV and VicPol, and again was weakest in MFESB. AV’s team managers have primary responsibility for managing the unplanned leave of operational staff. Line management practices include regular reviews of unplanned leave and the actions of managers to address individual cases. Managers’ performance plans and appraisals reinforce their responsibility for effectively managing unplanned leave. VicPol places responsibility for unplanned leave with senior sergeants who manage police stations. As with AV, line management practices include regular monitoring of unplanned leave, with senior sergeants expected to closely monitor cases of high unplanned leave. MFESB is strengthening the role of firefighter commanders for managing unplanned leave. However, MFESB has not established the means to hold commanders, senior station officers or station officers, who manage individual fire stations, accountable for the unplanned leave of their teams. The causes of unplanned leave are complex and managing it can be equally complex. Access to robust guidance and assistance from human resource experts is essential in providing effective management responses. Frontline managers at AV and VicPol are well supported with advice on human resource management matters and unplanned leave data. This enables managers to confidently deal with staff issues in compliance with organisational policies. However, MFESB does not have sufficient internal human resources expertise to assist managers to confidently interpret the firefighters’ enterprise agreement and handle staff matters in MFESB’s industrial relations environment. Further, it does not provide its frontline managers with data on the unplanned leave of individual firefighters. This is a significant weakness in MFESB’s approach to managing unplanned leave. Effective management of unplanned leave requires agencies having clear policies and procedures that are regularly communicated, monitored and applied. Processes and systems for managing shift work should have the ability to respond to changes in staff availability, including changes resulting from unplanned leave. Each agency has sound procedures for recording and approving unplanned leave. However, the extent to which these procedures are effectively implemented varies across the agencies. Ineffective implementation diminishes the purpose and value of having these controls in place, and does little to encourage staff to account for their absences, or to deter discretionary unplanned leave. AV has generally sound procedures for reporting and recording unplanned leave. AV’s operational staff are required to contact one of two state duty managers so that unplanned leave can be recorded and replacement staff rostered. Unplanned leave is initially recorded as ‘uncertified’ and is only changed after staff submit evidence to support the absence. MFESB has two inconsistent sources of information for firefighters on the requirements for reporting and recording unplanned leave. In addition, MFESB’s procedures for validating evidence to justify unplanned leave are unreliable. Documentary evidence supporting unplanned leave recorded as ‘certified’ was not held on MFESB’s personnel files in 23 per cent of instances involving firefighters with high levels of unplanned leave. MFESB does not apply controls to reinforce staff members’ responsibility for providing evidence in support of unplanned leave. VicPol has a consistent approach to reporting and recording unplanned leave. VicPol policy only requires that managers sight evidence of unplanned leave, rather than retain copies of evidence. While this creates some risk of inconsistency in applying procedures, VicPol has adequate controls that compensate for this risk. AV’s systems and processes for operational resource planning and management provide the capacity for AV to reduce the factors causing unplanned leave. It has thorough processes for planning the resources it requires to deliver ambulance services. AV has centralised call-taking and dispatch, and has recently introduced a statewide rostering system that provides for the efficient deployment of ambulance resources. However, central controls over rostering, while improving the efficiency of operational staff management, have reduced the flexibility previously available to staff in rural regions. Team managers report that this contributes to unplanned leave. MFESB and VicPol management are aware of the need to improve rostering and are taking steps to address weaknesses. VicPol’s rostering is conducted on a station‑by‑station basis with effectiveness dependent on the officer managing the roster. The lack of centralised controls over rostering and the large number of individual worksites create the risk that poor rostering contributes to unplanned leave. As part of its planned corporate actions for 2012–15 VicPol is conducting a trial of practices to improve aspects of rostering. Contingent on the outcomes of the trial, VicPol will consider wider application of the practices. MFESB is working to improve the operational management of firefighters to reduce the costs arising from unplanned leave. However, the extent to which it is able to manage these costs is limited by a provision in the firefighters’ enterprise agreement that specifies the minimum number of firefighters required for each shift. As unplanned leave and the transfer of firefighters into training and special projects reduce the number of rostered firefighters available to work, firefighters must be recalled to work overtime in order to meet the minimum number required. AV has been proactive in developing initiatives that address unplanned leave but has been slow to extend these initiatives to all parts of the organisation. Between 2007 and 2011, AV successfully implemented alternative arrangements that strengthened the capacity of frontline managers of large teams to lead, manage and support paramedics and other operational staff. While AV also provided development training for managers of smaller non-metropolitan teams, comprehensive development for these team managers has been delayed until 2012–13 because of financial constraints. This delay is likely to have contributed to the difficulty of reducing the level of unplanned leave in rural areas, which remains higher than in metropolitan locations. MFESB is also committed to developing its firefighter managers’ leadership and management skills, so as to increase firefighters’ commitment to MFESB’s strategic goals, and reduce their personal unplanned leave. AV, MFESB and VicPol have embarked on strategies to reduce workplace injury. AV is concentrating on reducing the incidence of the two largest sources of claims—manual handling and psychological stress. Lifting equipment will be provided in 2012–13 and individual psychological plans for 1 000 operational staff are to be completed by June 2013. MFESB is focusing on strengthening the physical resilience of firefighters, recognising that approximately 60 per cent of its WorkCover claims result from manual handling, slips and falls. MFESB is also placing emphasis on firefighters’ health awareness as 60 per cent of its firefighters are aged over 45 years. Similarly, VicPol has given a high priority to reducing workplace injury, with claims declining by 40 per cent between 2006–07 and 2011–12. However, psychological injuries that generally involve longer-term absences have declined at around two-thirds the rate of all workplace injury claims. VicPol has a strategy to address these issues, part of which is the development of frontline managers whose role includes identifying and intervening when staff show indications of psychological stress, including unusual levels of unplanned leave. Closely monitor in rural regions the outcomes of its strategy to strengthen team management and adjust the strategy to address gaps or underperformance. Continue to strengthen human resource management processes and controls to reduce avoidable overtime costs. Adequately train all frontline police managers to handle complex personal matters involving staff. <<The Blue Mountains community will receive bushfire safety messages quicker when the Blue Mountaims Rural Fires Service (RFS) implements a text messaging system and other technology, thanks to money raised at a tourism function. 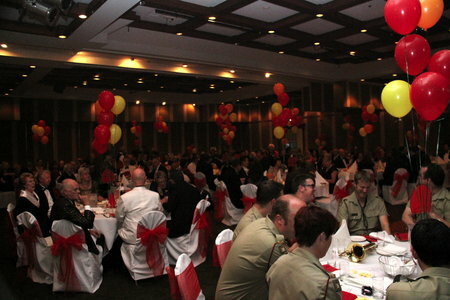 About 120 industry, RFS and communty members attended the annual Blue Mountains Lithgow and Oberon Tourism (BMLOT) Red Balloon RFS Ball at the Fairmont Resort Leura on April 5. <<Australia will give Afghanistan $1 billion of aid over four years, which will be spent on rural jobs, education and developing the resource-rich nation’s mining industry. Foreign Minister Bob Carr made the announcement at the Tokyo conference on Afghanistan attended by US Secretary of State Hillary Clinton and Afghan President Hamid Karzai. Donors pledged a total $US16 billion ($A15.74 billion) of aid to Afghanistan over four years but called on Kabul to crack down on corruption. 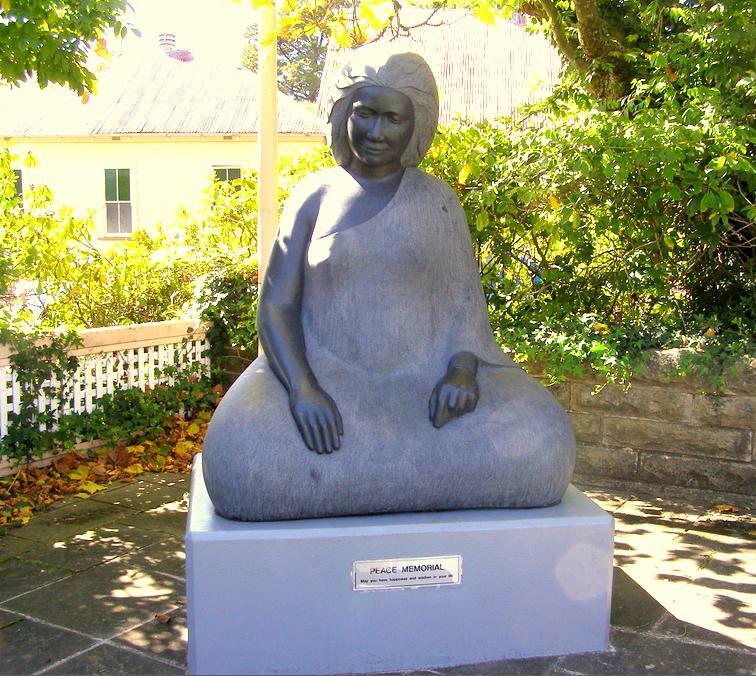 This entry was posted on Tuesday, April 23rd, 2013	and is filed under Threats from Bushfire, Threats from Government Funding Neglect. 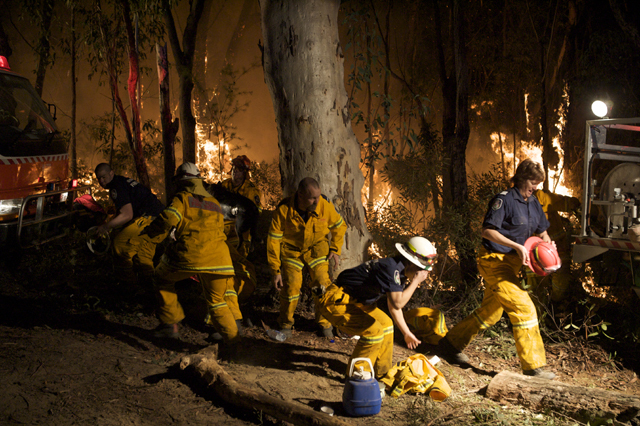 of two firefighters holding a hose in a bushfire. I’m working at the University of Adelaide developing history curriculum for Australian primary schools. The image would be included in a lesson for Year 4 students entitled ‘Fire Stories’.